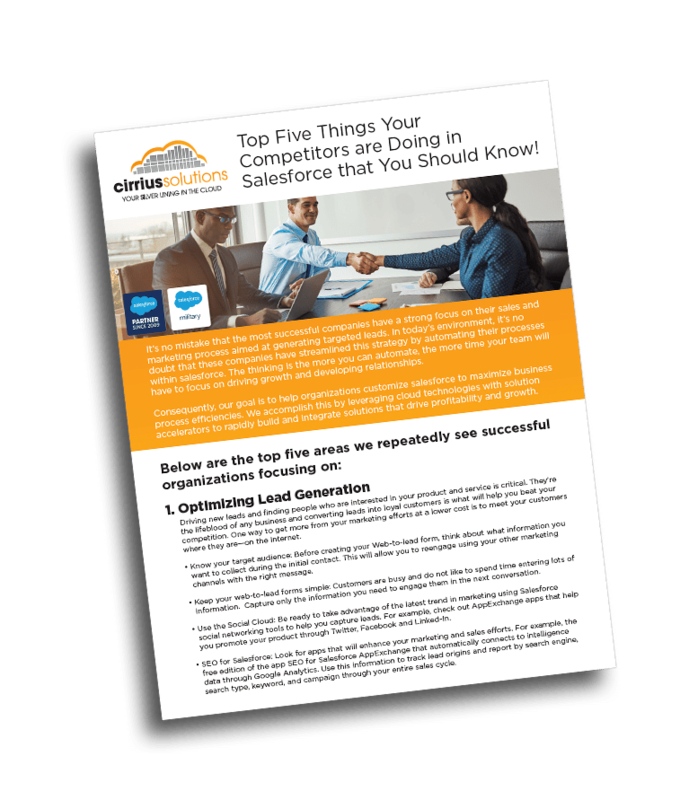 Our Salesforce Custom Development experts achieve competitive results by providing enterprise-level systems and technology that might otherwise be out of reach. We implement and provide advanced customizations, leveraging our 250+ years in software development, to provide you “Best in Class” solutions. We work quickly and we achieve demonstrable results as you can see from both our perfect customer satisfaction ratings and our testimonials. Increasingly, we are expected to help speed the pace of business and add value to the company far beyond simply keeping technology working. Our development team can help you keep pace with the business problems you’re being asked to solve. We will modernize cloud-native application development and deployment in order to improve the user experience, which eliminates development overhead and reduces complexity. We provide high-quality development and customization services including Apex & Visualforce development, third-party systems integrations, web-services, and the new Lightning Aura framework, where needed, to enhance Salesforce capabilities. 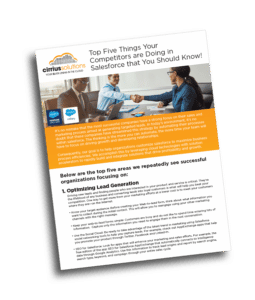 Our team of Salesforce.com experts can partner with your existing resources or work independently to tailor solutions for your unique business needs. Together we build advanced automation functionality through powerful custom application development. We can create Visualforce pages, apex classes, triggers, views, page layouts, workflows, and generate reports and dashboards according to your needs. We offer a range of custom development solutions to suit your business needs, including cloud application solutions on the Force.com development platform. 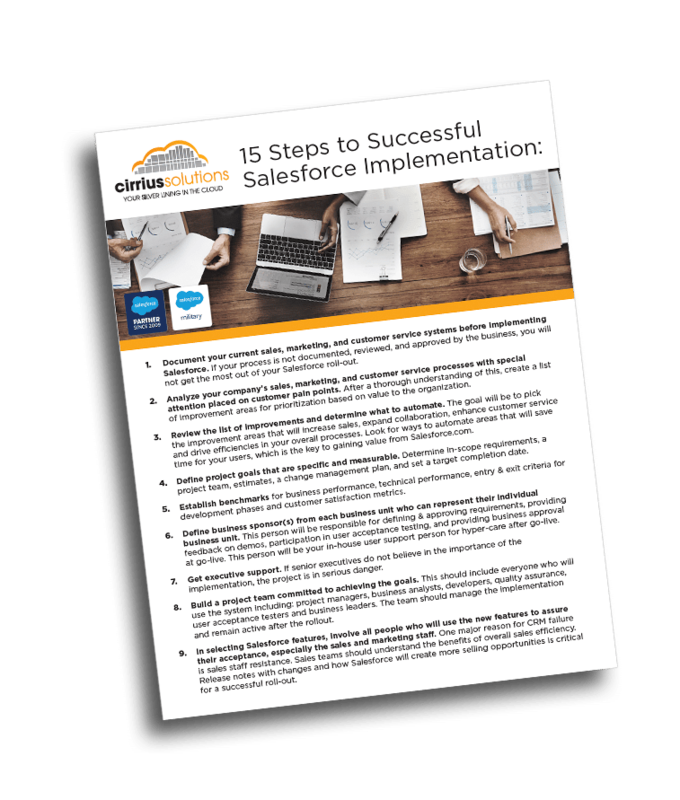 With a comprehensive set of development services the Cirrus team can help you rapidly develop and deploy custom solutions to extend Salesforce capabilities quickly and efficiently. Increasing rep capabilities will foster user satisfaction and adoption. Quickly build new apps leveraging existing platform services, applications, and integrations. Accelerate development time, reduce costs, and boost ROI with new apps delivered to your clients. Easily automate business processes across people, data, systems and workflows simplifying the sales cycle for your users. Our development experts can assist your company by taking an in-depth, hands on approach to fully understanding your data integration needs. Our data services include migration from a legacy systems and real-time integration with back office systems.